These blocks make me excited to have another little boy in the house. Danyelle combined the fun of chalkboards with every boys favorite toy, blocks, to create these fun DIY Chalkboard blocks. Turn them into a city, a garage, or just about anything else their little minds can imagine. And if you are looking for a fun handmade toy to give this Christmas, this is the perfect idea for any little boys on your list! 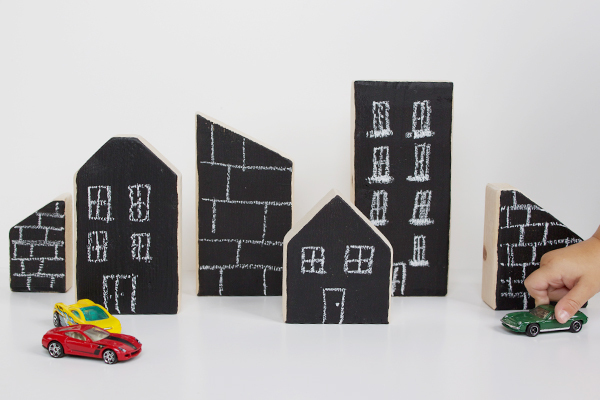 You can check out how to make these DIY Chalkboard Blocks over at Hellobee.